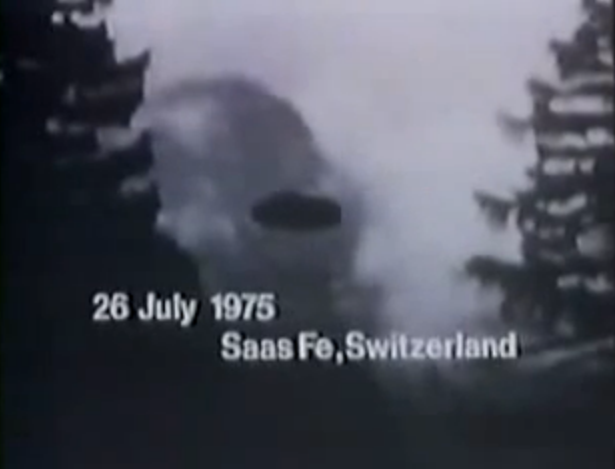 (AKA Flying Saucers are Real!) 1979, Starring Stanton Friedman, Brandon Chase, Wendelle Stevens. Directed by Ed Hunt (Group 1). UFO's Are Real isn't the first paranormal documentary on the topic, but it is among the most notable. 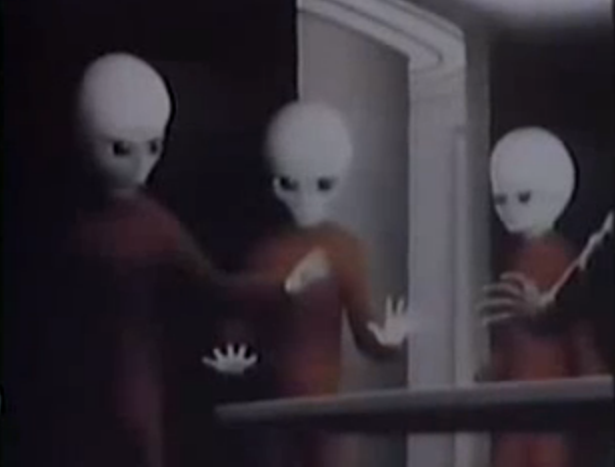 It appears the short-lived film trend that began in 1974 when NBC aired the telefilm In Search of Ancient Astronauts, an Americanized version of the 1970 German documentary Erinnerungen an die Zukunft (A.K.A. Chariots of the Gods) as a pilot for its later weekly occult series, In Search Of. Based on the success of that film and the resultant TV show, the market was soon flooded with similar works. Sunn Classics, a company that exhibited a full slate of paranormal documentaries by touring them from town to town, cranked out The Outer Space Connection (1974), while smaller rivals quickly cashed in with other docs such as Overlords of the UFO (1976) Mysteries of the Gods (1976), UFOs: It Has Begun (1976) and UFOs: Are We Alone? (1979). Enlisting well-known genre personalities like Peter Graves, William Shatner and Rod Serling to narrate (and occasionally appear on screen to conduct interviews in some cases), these films often indiscriminately blurred the line between fact and fiction, highlighting the most oddball theories (and theorists) they could find. But despite this less-than-academic approach, most audiences were usually content to accept them as little more than entertaining flights of fancy. Hunt, though, was a true believer in UFOs, and had already used prominent UFO themes in his two films, 1976's Point of No Return and, most notably, in Starship Invasions (1977), in which Christopher Lee plays an alien who abducts various earthlings using his flying saucer that is kept housed under the ocean in an underwater pyramid. Though it ends in a far-fetched Star Wars-inspired laser battle, Starship Invasions hit on many popular UFO mythologies of the time--the ancient alien astronauts that were said to teach the Egyptians architecture, abductions for medical experiment and the belief that aliens were already living on Earth in secret. It was clear from that film that Hunt had more than a passing interest in outer space visitations when he started work on his only documentary film, UFO's Are Real. As you might expect from the film's title, UFO's Are Real takes a hardline approach, with narrator Brandon Chase declining to convince viewers but instead repeating that UFOs are already established fact. Offering no wiggle room for skeptics, the low-budget, seemingly quickly made film is a barrage of photographs, interviews and newspaper clippings that attempt to provide irrefutable evidence that UFOs have been visiting our planet for years. Unlike many of the more entertainment-minded documentaries on the topic, there are no reenactments presented, but paintings used to illustrate some of the incidents mentioned, such as the Roswell crash, descriptions of aliens and abduction stories. Aside from the seriousness in which the material is treated, one reason why UFO's Are Real has remained one of the more high profile UFO documentaries over the years is the quality of the interview subjects, most of which were ignored by competing filmmakers. 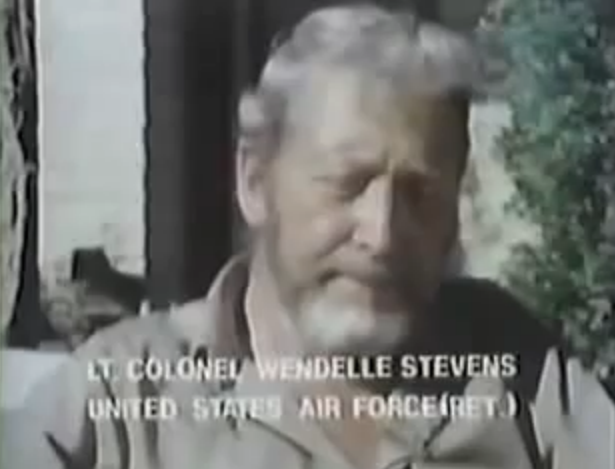 Interviews with retired air force pilot and researcher Wendelle Stevens figure prominently in the film, along with segments with fellow researchers like Bruce Maccabee and Ted Phillips, but Hunt also talks to eyewitnesses including Lawrence Coyne, who claimes he almost hit a UFO with his plane, and Jesse Marcel, an Army major involved in the alleged recovery of a UFO in Roswell. There's even a lengthy chat with well-known abductee Betty Hill (whose fascinating story was dramatized in the frightening TV movie The UFO Incident (1975)). 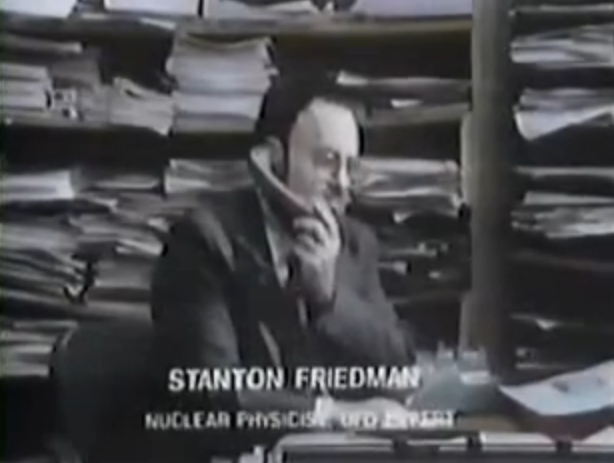 This impressive line-up is no doubt at least due to the involvement of another notable name, respected UFO researcher Stanton Friedman who, as a former nuclear physicist, is known for his reasonable, scientific approach to his work. Friedman, a naturalized Canadian who resides in New Brunswick, had been interviewed for Overlords of the UFO, but here he not only appears as a talking head in several segments, but also gets a screenwriting credit, assuredly keeping the film from drifting off into more arcane theories and crackpot conspiracy. So is UFO's Are Real's deluge of evidence and definitive tone convincing? Not particularly, although it certainly makes a more plausible case for the existence of flying saucers than most other 1970s paranormal documentaries. Aside from the (usual) grainy photographs and film, the film tries to make the most out of eyewitness accounts and some roundabout logic about how alien races must have more advanced technology than Earth. But it also heads some paths probably only of interest to experienced UFOlogists, such as a discussion of how amateur astronomer Marjorie Fish matched a "map" remembered by Betty Hill from her time on board a UFO to real star charts. Of course, with more than 30 years passed since the film was made, some of the material accepted at the time has been debunked--Fish's conclusions have been called into serious question by more recent astronomic discoveries and were refuted by respected scientist Carl Sagan. But perhaps most damaging is the film's final segment. 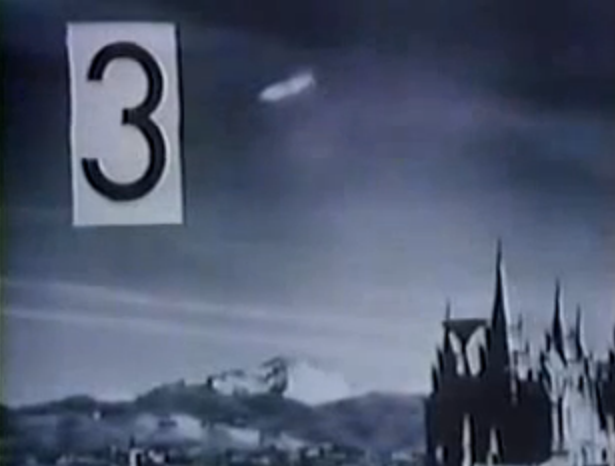 Set up by the narrator as the ultimate irrefutable proof of flying saucers, it's actually the most controversial and unlikely argument in the film. Here Wendelle Stevens talks about Swiss farmer Billy Meier and his alleged ongoing contact with the Pleiadians, an alien race he claims has visited him hundreds times since he was a boy. Stevens shows some of Meier's thousands of close-up UFO photographs, and displays a volume of Meier's Contact Report, a telephone directory-sized book in which Meier says he recorded his conversations with aliens. But, following their divorce in 1997, Meier's wife has since claimed the Pleiadians were a hoax and many of Meier's photographs have been proven to be fake, incorporating clumsy UFO models and pictures clipped from books. Directed the same year as Hunt's disease thriller, Plague, UFO's Are Real is a low-budget curiosity in the director's career that nonetheless carefully represents Hunt's own true views on a fascinating subject. Though not all of the included material is still relevant, it's still a fascinating overview of the decade's obsession with paranormal phenomenon that goes beyond the more suspect (if entertaining) theories to explore the real personalities behind the quest to prove definitively that we are not alone.